This Frozen Shoulder Syndrome seminar was written, instructed and directed by Elaine Calenda, AOS, NCTMB. The massage techniques demonstrated in this video program can be applied to clients with active lifestyles who suffer shoulder problems, stiffness and restricted range of motion related to everyday repetitive motions. This video is recommended for practicing massage professionals, chiropractors and physical therapists who have completed at least 500 hours of accredited education that includes massage, physiology, pathology and anatomy. Being diagnosed with frozen shoulder can have a devastating effect on one’s life. Frozen Shoulder Syndrome or Adhesive Capsulitis, is still a mysterious orthopedic condition in as far as causative factors and prognosis. This condition is painful and difficult to heal, however, massage can be a major part of the solution. This video seminar gives you the tools to assess and treat this condition. Interviewing your client for the facts about the condition. Recording information that you have collected. Developing a treatment plan with an expected outcome. Evaluating progress with your client. Looking for a professionally filmed seminar that makes it easy to learn and earn continuing education units? This instructional program is approved by the National Certification Board for Therapeutic Massage and Bodywork (NCBTMB) for 4 contact hours (.4 credits) of approved Continuing Education Credits. Here's how it works. When you purchase this DVD, you'll find a sticker with a unique serial number inside the DVD case. You will use this to apply for your NCBTMB credits. Simply download and print your PDF testing forms by clicking on the website address provided inside the DVD box. Complete your test and follow the instructions. If you successfully pass the test, we'll mail you a frameable certificate of completion. 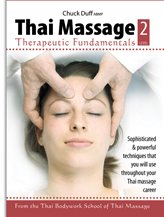 Elaine Calenda, AOS, NCTMB was a massage therapy educator for over 30 years. She graduated from the Swedish Institute in 1979 with her CMT and gained clinical work experience with Dr. Richard Bachrach at the Center of Osteopathic & Sports Medicine in New York City. Elaine taught at the Swedish Institute for six years and she was the Academic Dean at the Boulder College of Massage Therapy where she taught Sports, Orthopedic, and Medical Massage. Elaine contributed to the development of the AOS Medical Massage course and she participated in multiple research projects including: “The Effects of Massage for Carpal Tunnel Syndrome” and “Chronic Tension Headache.” Elaine will be remembered for her dedication to the advancement of the massage profession. She was a member of the Massage Therapy Research Consortium. She wrote for massage and CAM publications, designed anatomical charts and was frequently quoted as a massage expert by various health-related media venues. Elaine successfully applied the techniques demonstrated on this Frozen Shoulder Syndrome DVD seminar on real clients experiencing real shoulder issues. She also filmed this video program with one of her own clients in Boulder, Colorado who suffered from Frozen Shoulder Syndrome. 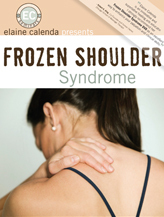 During her 30+ year career as a massage therapist and instructor, Elaine learned firsthand that people who receive regular therapeutic massage for Frozen Shoulder Syndrome recover a lot faster, develop far fewer adhesive formations and scar tissue and are much less predisposed to strong holding patterns that can develop as a result. Elaine was also a presenter during the first Tools for Touch webinar on June 6, 2011. "AMTA members know Elaine Calenda from many conventions. She has been a massage educator for more than 28 years, having taught at Manhattan's Swedish Institute and at the Boulder College of Massage Therapy in Colorado, where she is currently the academic dean. She teaches with deep intelligence and broad humor."